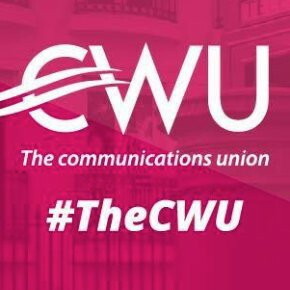 The Communication Workers′ Union (CWU) conference met on 22-23 April, with sector conferences following. At the general conference one of the big issues debated was the Windrush scandal, and the union overwhelmingly expressed its solidarity with Windrush migrants and their families. On 22-23 February, campuses across the country will see the first of 14 days of strikes announced by the University and College Union (UCU). Staff at 61 universities have voted to strike in a dispute over pensions, beginning on 22 February. University bosses want to remove guaranteed pension provision, in favour of a “defined contribution” scheme where the eventual pay-out is dependent on performance of investments. Staff face losing up to £200,000 over the course of retirement. The Communication Workers’ Union (CWU) in the Royal Mail ballot has set the gold standard for all other major unions in the UK. It was the first nationwide strike ballot since the Trade Union Act 2016, which came fully into force in March 2017, and dictates that lawful strike action now requires a 50% turnout to vote. 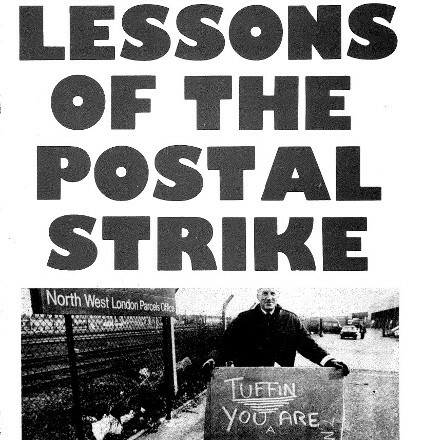 Socialist Organiser pamphlet published after 1988 postal dispute: click here to download pdf. Royal Mail injunction sets precedent? On Thursday 12 October, the High Court granted an injunction to Royal Mail, stopping a strike organised by the Communication Workers Union (CWU) due to start on Thursday 19 October. Read more about Royal Mail injunction sets precedent? Workers’ Liberty school workers met on 7 October 2017 to discuss our plans in our workplaces and in the new National Education Union, formed on 1 September by the merger of the National Union of Teachers and the Association of Teachers and Lecturers. The new union is making a recruitment drive, offering membership free to trainees and students, for £1 to newly qualified teachers, and for £10 for the first year to all teachers and all school support staff. Workers at Royal Mail have voted by 89.1% for strikes. The dispute has four main demands: an end to the two-tier pension system, and for a decent pension for all; a shorter full-time working week of 35 hours with no loss of pay to mitigate the effects of automation on work; union agreements extended past 2018; no two-tiered workforce in order to achieve Royal Mail′s plan to have 9-5 delivery; a decent pay rise and no introduction of future pay awards linked to the company′s success and efficiency savings that year. On Saturday 30 September, workers and supporters protested outside the HR Owen car showrooms in London. HR Owen sells a number of luxury sports cars, including Maserati and Ferrari, some of which sell for over £250,000 each. Last year it made a profit of £400m. Yet it only pays the minimum wage (through an outsourcing company) to its cleaners for the last five years. The inequality between rich and poor could not be clearer.